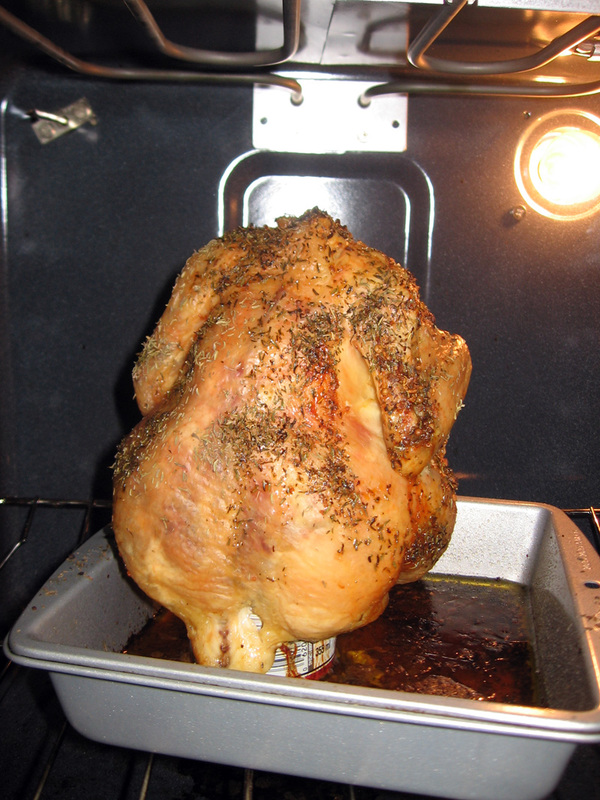 My ski town roommate introduced me to beer can chicken. Who doesn’t like drunken protein? 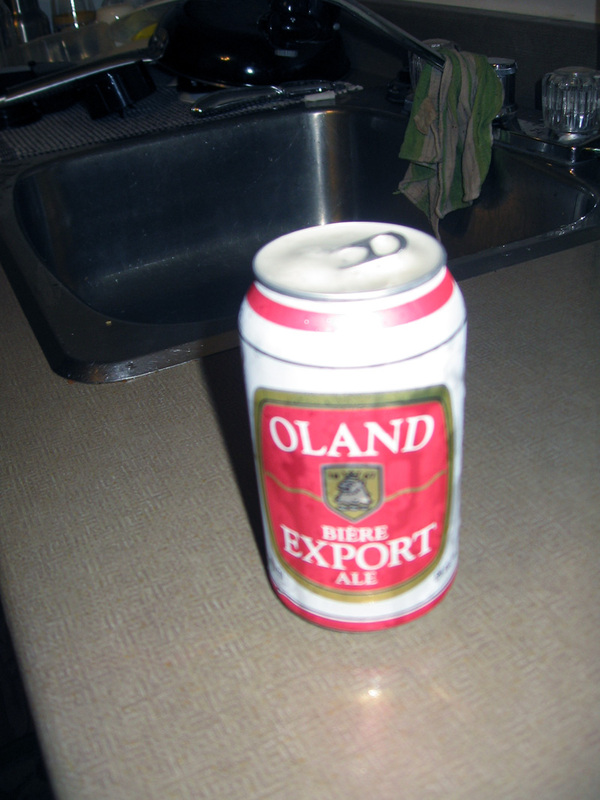 3) Place the beer can on a medium size tray,remove the top tab and tear as much out of the top as you can. 4) Stick 2 cloves of garlic into the onion. Place the onion with garlic on top of the beer can. 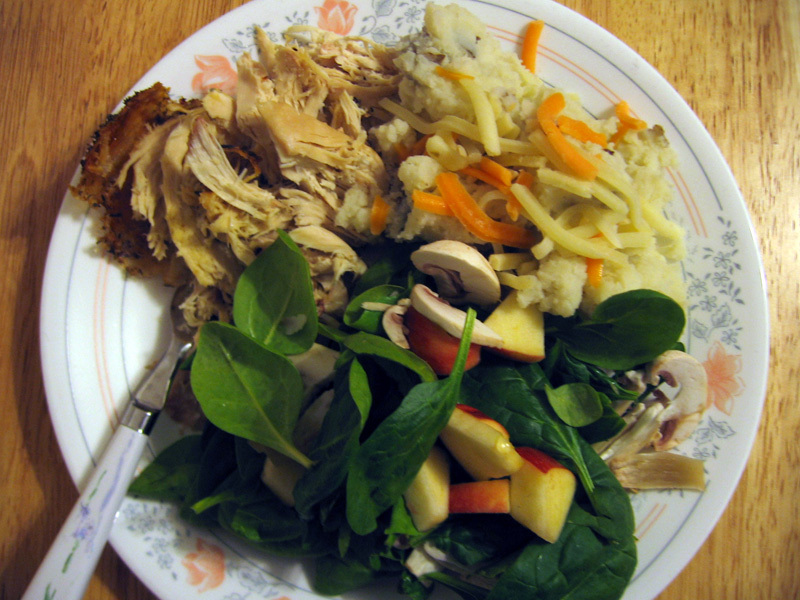 5) Remove all that extra chicken stuff that comes with a whole chicken. 6) Now stuff the beer can up the cavity of the chicken. Drizzle the whole chicken in olive oil. 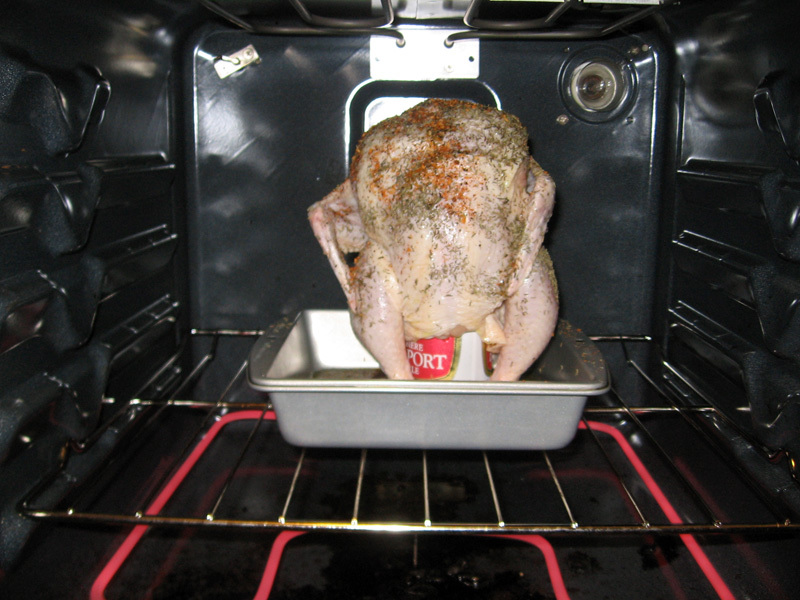 Season how ever you like your chicken, I like to use Montreal chicken spice and thyme. 7) Bake for 2 hours.